Whether acute or chronic, a cough can affect your quality of life, and finding the cause of your cough and getting treatment can make a huge difference. Pedro Ortega, MD at Central Florida Primary Care, with offices in Winter Park and the MetroWest community of Orlando, Florida, is trained to diagnose and treat common conditions that affect adults, including a cough. Call today or schedule an appointment online. The length of your cough helps Dr. Ortega better direct care and treatment. What causes an acute cough? Dr. Ortega can determine the cause of your cough after an examination and a review of your other symptoms. For example, the flu usually causes body aches and a fever, while the common cold often develops without a fever. How is an acute cough treated? Dr. Ortega will develop a personalized treatment plan to help relieve your cough based on the underlying cause. For a cough related to a cold, Dr. Ortega will usually suggest a nonsteroidal anti-inflammatory drug (NSAID), such as aspirin, ibuprofen, naproxen sodium or, if necessary, a prescription-strength drug. Increasing your water or other cool liquid intake can also be beneficial. If your cough is related to acute bronchitis, Dr. Ortega can prescribe an antibiotic. Dr. Ortega will conduct a thorough examination to help determine the underlying cause of your chronic cough. If necessary, you will need additional testing, such as X-rays, lung function tests, or blood work, to confirm or rule out a diagnosis. What treatments are available to improve my chronic cough? Treatment for your chronic cough depends on the underlying cause. Dr. Ortega will create an individualized treatment plan to manage the underlying cause and help relieve your symptoms. Dr. Ortega also recommends you drink plenty of fluids, use cough drops, and take a steamy shower for relief. If you smoke, Dr. Ortega can provide treatments that help you quit. If you’re exposed to secondhand smoke, you will want to make changes to your environment to avoid the irritation. 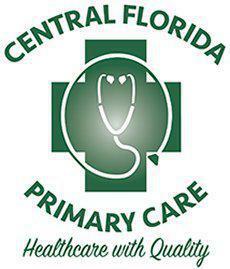 For management of an acute or chronic cough, call Central Florida Primary Care, or book an appointment online.